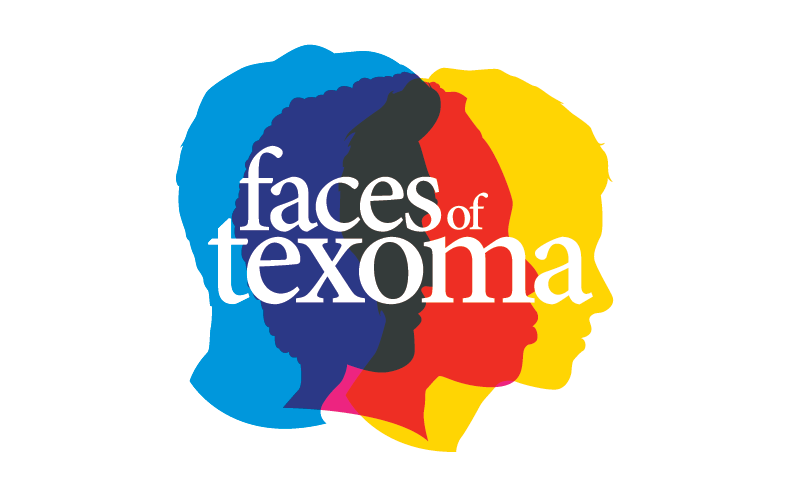 Faces of Texoma: One Place. Many Faces. Have you ever had the opportunity to meet someone in person who you only had an email or phone relationship with, and when you meet, you say, “It’s good to finally put a face with the name”? There is something about making that face-to-face contact that establishes a stronger, more meaningful connection in our minds. 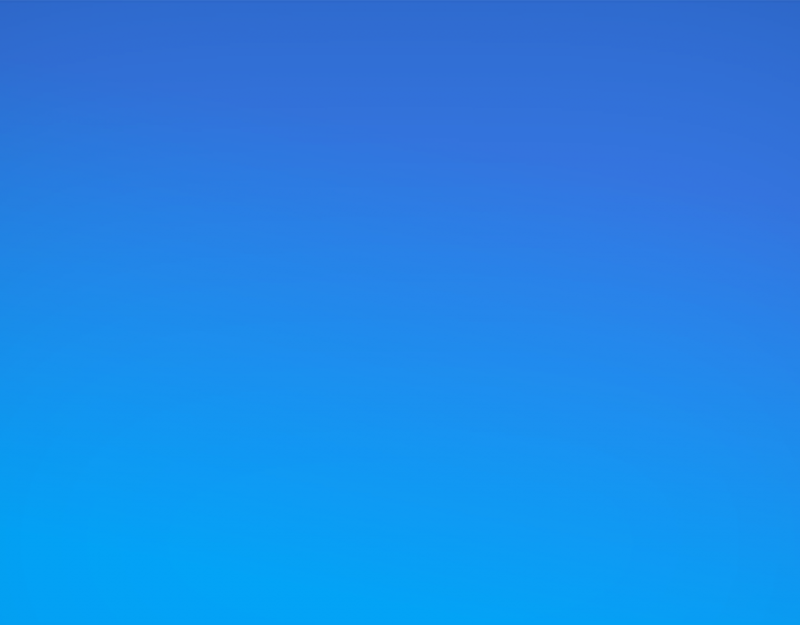 That is exactly what we want to accomplish with this year’s Annual Report. Each year we share our program’s accomplishments and regional impacts. 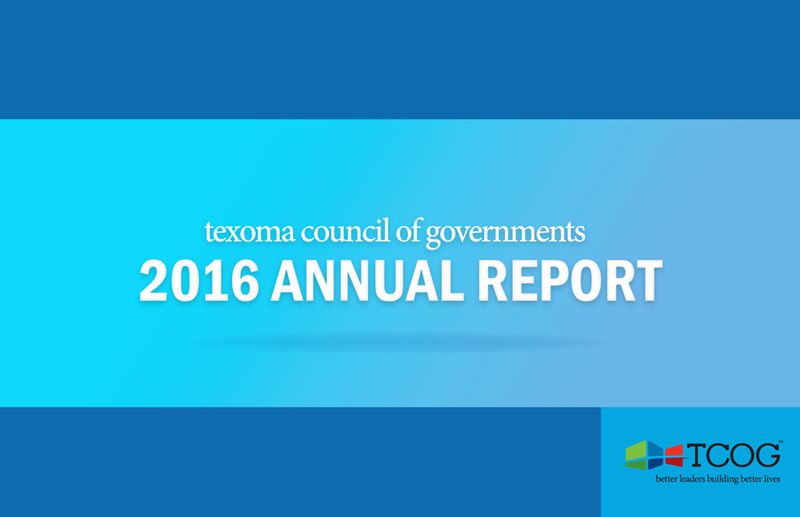 We talk about our budgets, our economic impact on Texoma, and we connect our work to improvements in quality of life for citizens across the tri-county area. This year, however, we want to personalize the TCOG story. When we say our programs change lives, redirect lives, and occasionally save lives, the lives we refer to are not hypothetical. The quality of life we talk about is not rhetorical. The impacts we claim are not speculative or imaginative. These are real people – parents, grandparents, children, families, friends, loved ones, even entire communities – on the receiving end of our programs. We’ve selected a few clients to share their stories with you this year – stories about finding help, finding hope, and finding value and purpose in life. In the end, it’s not the numbers, achievements, or even the dollars and cents that really matter; it’s the people. 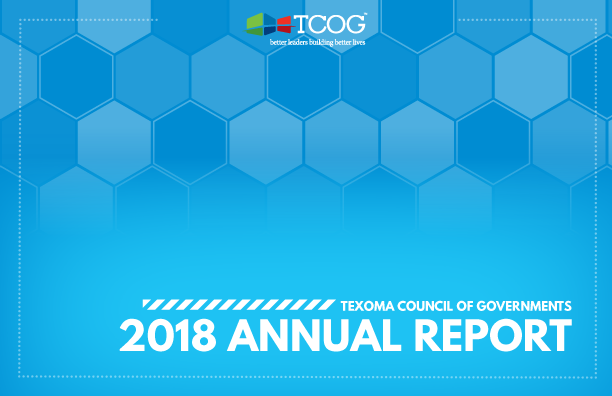 TCOG has made a tremendous difference in the lives of the people included in this report and in the lives of thousands others across the region. It is an honor and privilege to serve our communities and clients. We are proud to lead the way to a higher quality of life in Texoma, and we are delighted to share these success stories with you. 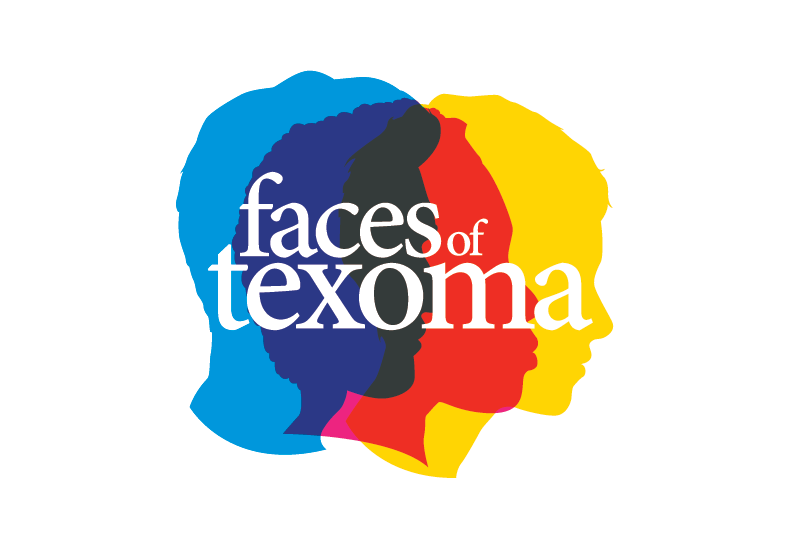 These are the faces of Texoma. The Foster Grandparent Program gives us a reason to smile every day. Before retirement, Charlie and I both worked with people in the public. He is retired from sales and I am a retired school teacher. We raised three sons and we were supportive and active parents (yeah, band kids!). When we became empty nesters we realized that we needed “a little oomph” in our lives. The Foster Grandparent program fulfilled this need and has been a wonderful addition to our lives. Our days start with a smile when we hear, “Hi, Miss Alice,” or “Hey, Mr. Charlie”. Work? Oh no! The Foster Grandparent program gives us a reason to smile every day! We have made great new friends who are now a family for us. Thank you FGP. I am so grateful I have affordable rent and access to other programs like Meals on Wheels. Most people lucky enough to reach the age of 83 are ready to slow down. Charles is not most people. Charles moved to the Bonham Housing Authority in 2010 and was hired almost immediately to provide assistance with the many social service activities provided to Housing Authority residents. Charles wears many hats as a Resident Assistant and does everything from teaching arts and crafts to kids to calling Bingo and organizing resident luncheons. Charles was the driving force behind a silent auction which generated funds to purchase Christmas gifts for Housing Authority children. Although Charles has suffered through two broken hips which resulted in a rehab stay, he continues to work because he enjoys what he does. He faithfully participates in Resident Council meetings where he provides insight and recommendations. Charles feels very fortunate to live at the Housing Authority, “I am so grateful I have affordable rent and access to other programs like Meals on Wheels; I appreciate the Maintenance staff that comes quickly and all the ladies in the office who are so nice.” Charles stated. We are grateful for Charles and his contribution to making his community thrive. I'm just so thankful for all they've done. Beverly is a lively senior who lives in a rambling frame home built in 1930. She always wanted a “big, old house” and was excited when she was able to purchase the home in 2000. By 2002, Beverly was on her own with a house that had problems she couldn’t fix. There was no insulation in her attic, walls or floors; the windows were loose and the house was cold and drafty in the winter and hot in the summer. Enter the TCOG Weatherization Program. Inspectors conducted an initial inspection of her home and found faulty wiring in her attic that prevented the ability to install much-needed insulation. A referral to the City of Denison provided Beverly assistance with repairing the wiring through a program available to senior homeowners. Once these repairs were completed, the TCOG Weatherization Program was able to provide: a new hot water heater; three energy-efficient gas heaters; insulation throughout the home; caulking to windows and wall seams; installation of smoke detectors; weather-stripping; and other needed repairs. TCOG staff taught me many different ways to treat myself right. 3 years ago, I was diagnosed with diabetes. I did not take it seriously at first which, consequently, brought unnecessary complications. My feet, for instance, started giving me problems. When TCOG’s Area Agency on Aging sent out flyers for their first diabetes education class, I decided to attend — and that is when I started taking control. TCOG staff taught me many different ways to treat myself right: doctors, medications, foods, exercises. They even brought in professionals to talk with us. Most of all we shared with each other our pain, diabetic problems and getting solutions to help each other. Take control of your diabetes, don’t let it control you. I no longer have to be worried about what will happen if I get sick. The help I received from TCOG has been such a blessing. I did not know how to go about getting help with Medicare costs and was extremely stressed because I would not have been able to pay for Medicare insurance or doctor visits. Janet Karam, an awesome TCOG employee, helped me with everything, and because of her help, I no longer have to be worried what will happen if I get sick. I am truly grateful for Janet and TCOG. Janet also referred me to other programs where I also received help. A big weight has been lifted off because I have the peace of mind that if I get sick and need a doctor I can go. I wouldn’t otherwise be able to pay. 2-1-1 is the number to call when you don't know who to call. Balancing the demands of work, school and relocation can be overwhelming. Just ask Courtney, a young single mother of four who recently relocated from Arkansas to the Texoma region where she accepted a job with an insurance company. After the initial excitement of being offered a new position, Courtney realized she did not have child care services lined up for her children. She also realized that child care expenses would significantly reduce her income affecting her ability to pay for basic needs such as rent, food and clothing. Not knowing what services were available or what she would be eligible for, Courtney “called the number you call when you don’t know who to call”; 2-1-1. She spoke to a TCOG 2-1-1 Information & Referral Specialist who referred her to the Texoma Workforce Solutions Child Care Management Services (CCMS). Courtney applied for CCMS services and received childcare payment assistance in addition to locating a suitable childcare provider for her children. The TCOG 2-1-1 referrals meant Courtney could successfully move her family into a new future.